Posted on 7/28/2016 by Kevin Wilson. 0 Comments. In part one of this series we discussed what steps to take if you are striving to become a world-class SAP consultant. In the second part of this article we will provide more details on how to network, market yourself, and outline the key steps to a successful SAP career. Web - The web is the easiest most efficient way to keep in touch with those in your inner circle. In addition it is also a good way to start new relationships with your peers. The web shrinks the whole world down on to your computer. I have great peers in Germany, Poland, India, Australia, South Africa, … and have yet to meet most of them but I consider them all pretty close (and I do hope to meet-them-all-one-day). The usual sites like SCN and LinkedIn are good places to see what others are up to. Conferences - Go out and talk to people at conferences you are attending or speaking at. Remember that these people are attending the same conference as you so they are likely to share the same interests and possibly skill set as you. Projects - This is the most effective method. As you move from project to project working with your peers you can choose the ones that you want to associate further with and also those that you don't. When you leave a project make sure that you are linked up (or LinkedIn) with those that you wish to communicate with further. Books - If you have the time and the inclination this will really set you apart from your peers. Approach Wispubs / SAP Press (https://www.sap-press.com/) to see if they will publish your manuscript idea. Social media - Use the social media available out there intelligently - Once again, my good friend Jon Reed has it down (https://feeds.feedburner.com/jonerpfeeds). LinkedIn (https://www.linkedin.com) - This is my preferred way to stay connected with my peers in the industry. I don't mix it with social connections (I use Facebook for that) and I ensure that it's up to date with my latest happenings (https://www.linkedin.com/in/erpgenie) - Connect with your peers so that if you have questions that need answers you can fire it off to your trusted inner circle. In addition, join the relevant groups on LinkedIn and read their archives and answer questions that you know the answer to. Be sure to add value to these posts. Don't be one of those people just looking for the points (like those on SCN). SCN - Write blogs, contribute towards the wikis, utilize the forums, get involved…. SCN makes for a nice searchable resource for those looking for skilled people. Make sure you have a good positive presence out there. Twitter - I am not that big a fan of twitter outside of using it at events. Some recruiters and peers of ours do like twitter so we need to get a presence there too. With its integration to LinkedIn I can now update one place and communicate with both mediums. One nice thing with Twitter is that you can update it from your phone and then have your blog / website hook in to your tweets automatically. I.e. you can update content on your site quickly from your phone anywhere. Be smart when using social media to share. Find a service where you can make one post and it automatically sends it to LinkedIn, Twitter and Facebook. I leverage WordPress or Blogger to post and both of these can be linked to your social media so that you hit all the needed channels whenever you update your blog. Saving time and making it easy to do social media is key to being able to maintain the process going forward - Don't SPAM people with useless information - Make each posting valuable otherwise you will have a reverse effect on your need to gain a following. Maintain honesty and Integrity - The SAP world is still small and word gets around about whether you have done well or whether you have not! Strive to be the best at what you do - Don't settle for mediocrity, strive for greatness. Find a value niche in your focus area and run with it - Focus your talent and be the best at it. Network with movers and shakers. Contribute to the SAP community network – Get active, get involved. Have abundance mentality – Share your knowledge with others, there is enough to share with others. Continuously monitor market trends and adapt accordingly. Always remember to work hard and work smart! 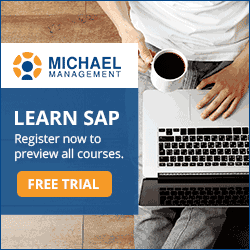 If you are interested in getting started take a look at our SAP course offerings! 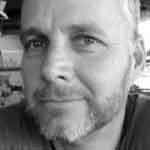 Kevin Wilson is a Principal SAP Supply Chain Solution Engineer and Partner at Reveal Inc. He is an expert in SAP Supply Chain Solutions with a focus on integration, event management and serialization. He is also a published author and an accomplished speaker.